"Treat Us As Family. We Will Always Be Here When You Need Us"
When someone dies, there are many decisions and arrangements to be made at a time of personal distress. No one can show or know what you are going through, as each persons experience and feeling is different. In a caring way however, we will advise, and guide you through the necessities at this trying time. We are a 3 generation firm of friendly and local funeral directors, and pride ourself on being Fylde based since the generation began. Tommy Hull began his funeral company in the 1950's. 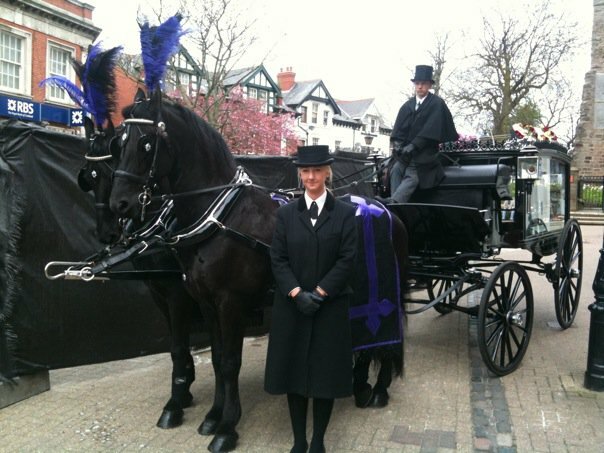 His son Chris started the company C. T. Hull Funeral Service NAFD dip in 1990, and Chris' daughter Claire joined in 2005. We are a truly independent firm devoted to family, not profits. Large concerns answer to shareholders; we answer to you. We know our business will do well when we serve you well. Our tasteful, calm chapels of repose are available to visit during 8am - 5pm. The chapels of repose are situated in the Blackpool area or Poulton-le-Fylde.